Deciding to become a TRI – ‘type rating instructor’ – is a logical next step for many pilots working in aviation today. 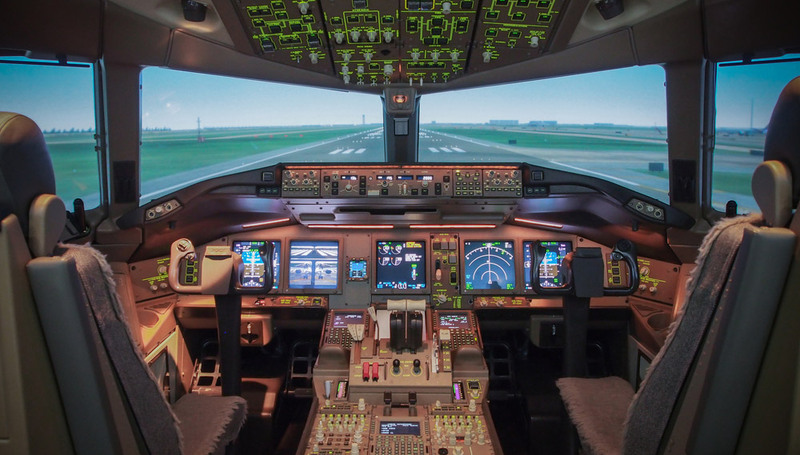 Yes, the salary and perks are good, and this option could help you extend your aviation career by many years. But, the real joy of a TRI role comes from knowing you’re passing on all you’ve learned to the next generation, helping them earn their wings and fall in love with flying. In this blog, we’ll outline the things you need to do in order to become a fully-fledged TRI. Then, we’ll show you some of the job opportunities that are already out there. Other than being over 18-years-old, there are relatively few blanket restrictions to becoming a TRI. We’ve listed the basic industry requirements below. And, of course, you’ll need an impressive set of personal skills. As you’ll be training individuals, patience, consideration for others, empathy and interpersonal skills are all vitally important. Obviously, you’ll need a valid commercial pilot license (ATPL). You’ll also require a relevant type rating and instrument rating for the type of aircraft you intend to use for instruction, which is unlikely to be one of the models you’re currently most experienced with. In terms of experience, 1,500 hours flight time as a pilot on a multi-pilot aircraft is the minimum benchmark. Additionally, within the 12 months before you complete your application to become a TRI, you must have completed 30 route sectors as PIC or co-pilot in the applicable aircraft (half of which can be completed in a FFS featuring this aircraft type). You’ll need to carry out both take-off and landing manoeuvres as part of this process. You’ll have to pass a series of tests in order to become a TRI. This will include both practical and knowledge-based tests for flight instructors. You might also be asked to take a test that analyses your personal skills and attributes to ensure you have the right mindset for the role. In addition to this, you’ll need to acquire a logbook endorsement from an authorised flight instructor that outlines how much time you’ve spent learning the basics of flight instruction. And, you’ll need to log at least 15 hours of flight time in command of another pilot. Once all of this is in place, you’re ready to take to the skies and begin teaching prospective pilots. As soon as you’ve decided to become a TRI and taken the necessary steps, you’ll want to get out there and ply your trade. We’ll use our many decades of collective expertise to help you optimise your application and stand the best possible chance of success. Get set for the next step in your aviation industry career by contacting the experts at AeroProfessional.